Voltage80 - The perfect performance of a petrol machine and the innovative features of a battery-powered device have been blended into one tool. With its 80 Volt technology using premium Lithium-Ion batteries, the SBC 80 D AE Brushcutter will satisfy the most demanding of users. 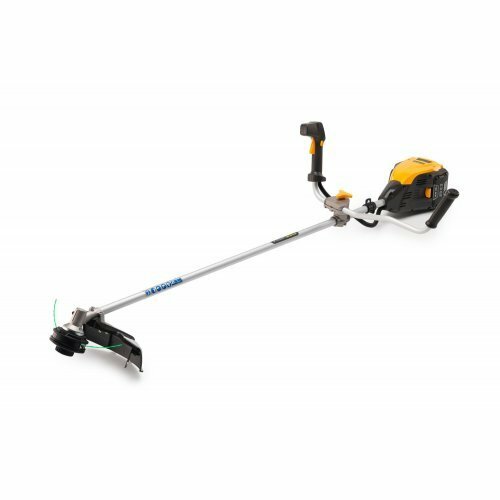 Simple to start with just the push of a button, the SBC 80 D AE Brushcutter comes with a Tap & Go bump feed head and a 4-tooth metal brushcutter blade for tackling tough growth. The bike handle and single harness make the brushcutter easy to control and efficiently cut larger areas.